I am enjoying seeing all your beautiful holiday decor and so impressed with your creativity and talent. I appreciate all your kind comments on our decorated mantle. Our tree is finally getting decorated today and I’ll be back to post about it soon….better late than never! Thanks again to everyone that joins the party. Take a look at some of the most viewed links from last week. 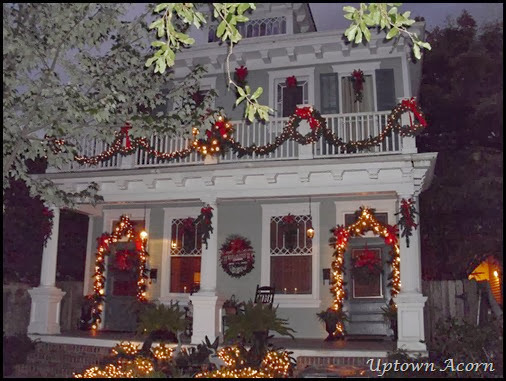 This beautifully decorated home belongs to Ron @ Uptown Acorn . He always does an amazing job decorating for every holiday. Christine at Rustic and Refined shared her beautiful woodland trees. I think these are so cute! 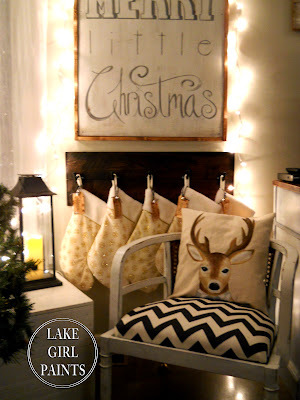 How adorable is the deer pillow at painted by Deb @ Lake Girl Paints? Love the sign too! 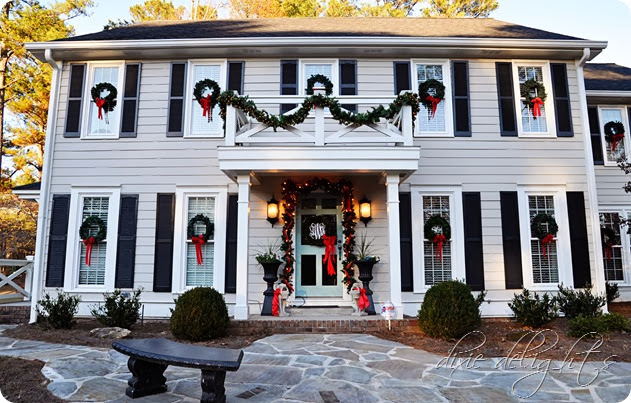 The very talented Amanda at Dixie Delights shared a tour of her gorgeous home decorated for Christmas. 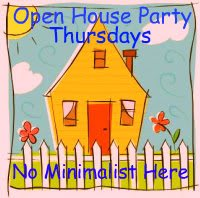 If you were featured please feel free to grab the party button in my sidebar. FYI: I was having lots of problems writing post and opening other blogs. Just found out that Blogspot is no longer compatible with Windows 7 and I needed to switch to Chrome or Firefox. That took care of the problems (so far). If you are experiencing problems with Blogspot here is the link to check if your browser is compatible. Thanks for hosting and inviting us to share our links. I'm excited to share my home for the first time this year, in all its holiday finery. Your trip to the Bahamas, esp. Coco Cay, looked very inviting! hi Sherry! Thanks so much for the party. I loved seeing you enjoying yourself on the cruise, looked like heaven! Thank you so much for hosting this wonderful party. Merry C'mas. Thanks so much for hosting, Sherry!! Thanks for hosting Sherry…luv all the features you have this week. Thanks so much for hosting, Sherry! I've been MIA for a long time!! Thank you so much Sherry for hosting. Hope you are enjoying this most glorious Christmas season! These pictures are beautiful! I can't wait to see more! Thank you for the Holiday party! Sherry, thanks so much for the wonderful feature! And for hosting another great party…I can tell I am going to be very busy tonight clicking away visiting a lot of wonderful bloggers. Hi Sherry, thanks for hosting Open House Party. Love joining in. Have a lovely week. Thank you so much for the feature, Sherry! Hope you're having a wonderful holiday season. Those features were definitely some of my favorites from last week! Thanks for hosting again! Thank you so much for hosting Sherry! Thanks for hosting another great party this week. It was fun to join in. Love all the inspiration. Thanks, Sherry for hosting. Ron always does such a good job, I agree!!! Thanks for the fun parties every week. Love all the Christmas posts!! You are making a fun time of year EVEN BETTER. Gorgeously festive features, Sherry! Wow, those exteriors are amazing! Thanks for hosting and have a lovely week! Good morning Sherry, thank you for hosting Open House Party. Have a wonderful week. So much to see here each week that is full of inspiration. I wish I knew last year when I was having the browser issues…what a pain that was! Thanks for hosting, again, Sherry!